As we (eagerly) prepare to embark upon the journey towards Super Bowl LII, it’s clear that Vegas expects a historically rich franchise to get richer. The futures odds are led by four teams which have at least four Lombardi Trophies on their shelves already: the New England Patriots are at a ludicrously short +350 (7/2) to win their sixth Super Bowl; the Packers come in at +750 (15/2) to win their fifth; and the Cowboys and Steelers are each +1200 (12/1) to hoist the Lombardi Trophy for the sixth and seventh times, respectively. Neither your mom, your kindergarten teacher, nor those insufferable pedants on Sesame Street will be pleased because the NFL still features a rather large number of teams — 13 to be exact — who have never experienced the euphoric, exhilarating, life-changing feeling of winning the Super Bowl. It’s been 52 years, yet the big brothers of the league still haven’t learned to share. You can’t really fault those teams for dominating. When younger siblings get to a certain age, the kid gloves have to come off and they need to fend for themselves; they need to complete life’s biggest rites of passage on their own, or they’ll never become fully functioning grown-ups. Which franchises remain Super Bowl virgins is painfully obvious, for the most part. They stand out like socially-awkward introverts at their first high-school dance, staring, mouths agape, at their classmates bumping-and-grinding on the dance floor. But there are also some surprising ones who walk the halls with their varsity jackets flung over their shoulders, oozing machismo, only to say something stupid and get shutdown when their big moment arrives. Will any of the 13 Super Bowl virgins (listed below) close the deal this year? Recent MLB and NBA seasons give hope to the “everyone’s time comes” theory: the Cleveland Cavaliers finally ended their 46-year drought in 2016; and the Cubs had basically “re-virginized” after 108 years without a World Series, before reaching the pinnacle of baseball last year. Of course, that doesn’t change the fact that some of the NFL’s never-haves look as ineffectual as ever and are more likely to post the season’s longest losing streak than reach US Bank Stadium on February 4th. But it does make you think twice about writing off teams like the Falcons just because they stuck their foot in their mouth in epic fashion last year. *NB: the Cleveland Browns are treated as one franchise dating back to 1944, though the original Browns moved to Baltimore in 1996 and the current iteration only started play in 1999. Of the 13 non-Super Bowl-winning franchises, the Vikings and Bills have appeared in the most championship games, with four trips each. Minnesota’s most recent trip goes all the way back to 1976, though, which serves as the longest drought among teams without a Super Bowl victory. Meanwhile, Buffalo’s four losses came in consecutive seasons (from 1990-93), and if there’s any bright-side, the Bills can at least say they’re the only team to make it to four straight Super Bowls. But these aren’t the only two who get chest pains when someone in the room mentions the Super Bowl. Many of the teams on this list have found wild ways to come up short. 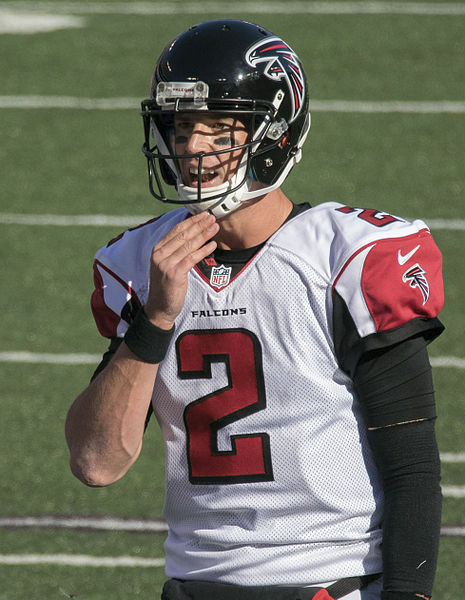 For example: the Falcons just blew a 28-3 lead in Super Bowl LI; the Cardinals lost Super Bowl XLIII due to one of the greatest catches of all-time; the Titans came one yard short of winning Super Bowl XXXIV; and the Bengals watched Joe Montana march 92 yards in under three minutes to take the lead with just 34 seconds left in Super Bowl XXIII. 2018 Free Agent QB Odds: Cousins Staying in Washington?